You Save: $11.96 (71%) Ships in 1 day. Soft Cover, 144 pages, 6x9. The definitive guide to Indiana's 37 craft breweries and brewpubs. 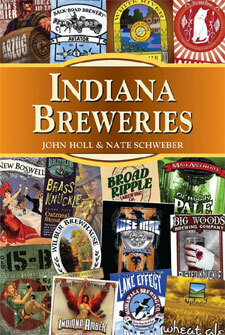 History of brewing in the state. Full information for travelers, such as lodging, nearby points of interest, and recommended bars in the area. Each profile includes types of beer brewed at the site, available tours, food served, and the authors' pick of the best beer to try.